What kind of domain extensions can I register? Can I register a .bt or a .com.bt extension? As of this moment, Drukhost does not provide domain registrations for .bt/.com.bt/.net.bt extensions. It may do so in the future. 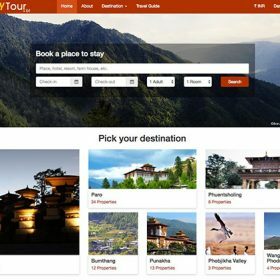 To register the above domains, you will need to contact Druknet (Bhutan Telecom) which is the sole entity to register those domains. Can I change my domain name at a later stage? Yes, you can always change your domain name at a later stage. However, domain names once registered are non-refundable and you cannot cancel it. 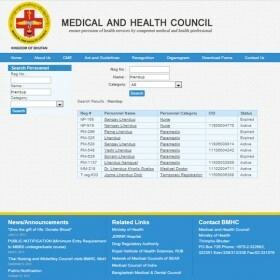 The domain will be active for the period it is registered for. So, to change your domain name, you will have to register a different domain and pay any fees associated with it. Can I host more than one domain on one hosting account? It depends on the hosting package that you have subscribed to. Entry level hosting packages will allow you to host only ONE domain, where a different hosting package will allow you to host multiple domains on one hosting account. Where are Drukhost’s servers located? Our main hosting servers are located in Dallas, Texas, United States. If you purchase a regular hosting package, you will be using our Dallas server. We also have servers in the United Kingdom. If I purchase a hosting package, will Drukhost help me set up my website? A hosting package will only consists of a server space for you to host your website. Drukhost will provide you with login credentials for your account and give you instructions on how to upload your files. Drukhost, at times, may be able to assist you to upload and set up your website, but this is at Drukhost’s own discretion. The hosting package does not cover the cost of setting up your website and as such Drukhost is not obligated to help you setup your website. Can I host a .bt or .com.bt domain on a hosting account with Drukhost? 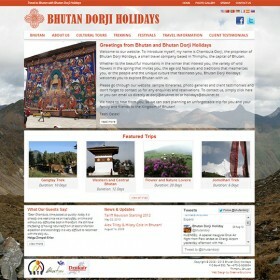 Yes, you can host a Bhutan cTLD (.bt/.com.bt/.net.bt etc) on Drukhost’s hosting account. But you will need to ask Druknet (Bhutan Telecom) to change the name servers of the domain to point to Drukhost’s name servers. What are Drukhost’s name server details? Can I upgrade or downgrade my hosting package at a later date? Yes, you can most certainly upgrade or downgrade your hosting package as per your needs. After you have contacted us regarding the change, a difference amount may have to be paid. Yes, our servers are setup and configured with security in mind. We give a lot of importance to server security and customer’s files/data. All customer accounts are fully isolated from each other. In the event of a customer’s account getting hacked or compromised, it will only affect that customer’s account. The server data and other customer’s files will not be affected at all. Does Drukhost provide automatic backup of my files? Yes, we provide automatic weekly and monthly backup of your files. These backup files are stored on a different physical server, located in a different region to make it even more secure. You can contact us to request your backup data. What does the backup include? The backup includes your entire account. All files, database, mails, etc. will be backed up during the backup process.